Frank Wesley’s “Forgiving Father” is one powerful image. It’s formed from a life-size wood block and was exhibited at an exhibition at Australian Catholic University in Banyo last year. It can be found in a collection of images at the Center for South Asian Studies at University of Virginia, in their online gallery, and at the Australian EJournal of Theology. Here’s a short biography, much of it drawing on the artist background at The Word Made Visible, Permanent Art Collection of the Lutheran Center. Frank Wesley is well known in India. His paintings were frequently reproduced as Christmas cards by the Indian Society for the Propagation of Christian Knowledge. Frank studied painting at the Lucknow School of Arts in Delhi. He took his graduate and post-graduate work there and eventually joined the faculty, staying for 12 years. From there he went to Kyoto, Japan to spend five years at its College of Fine Arts. From Japan, Wesley went on to the United States and studied at the Art Institute of Chicago. After two years in the United States, Wesley returned to India. In 1965 he joined the Christian Association for Radio and Audio-Visual Service as a part-time staff artist. In the last part of his life he lived in Nambour, Queensland. He died in 2002. Wesley belongs to the Lucknow school of painting. His guru was Bireshwar Sen, one of the foremost students of the late Aribindranath Tagore (cousin of the poet), a famous artist and founder of the Bengal school of painting. Mr. Wesley’s paintings reflect this influence and that of the Chughtai school of painting that flourished in India at the turn of the century. Naomi Wray wrote about Wesley in her book, “FRANK WESLEY : Exploring Faith With a Brush”. Auckland, New Zealand: Pace Publishing, 1989. Geraldine Wheeler has written a ‘catalogue essay’ at the Australian EJournal of Theology. Lindsay Farrell has written meditations on Frank Wesley’s “Forgiving Father”. i did a powerpoint meditation on this image a couple of years ago. i’ll send you a copy if you like. Are you going to the future church conference in NZ in October? I was about to post that cheryl wrote an excellent meditation on this, but she’s already told you that! If she had a blog it might be “out there” already. I am interested in finding a print of Forgiving Father. Do you have any information. I too am very moved by this particular piece. I recently found “Frank Wesley – Exploring Faith With a Brush” (Pace Pubishing 1993, Auckland 7, New Zealand) in my library. How fascinating and moving. How can one purchase one of Mr. Wesley’s prints. I am interested in Black Madonna. of Forgiving Son by Mr. Wesley? 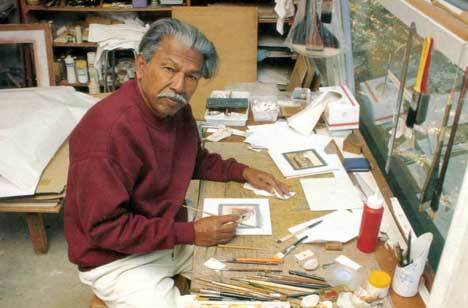 A web site of Frank Wesley’s art works has recently been set up. Purchasing of digital images of his paintings can be arranged via the web site. have a small painting of Frank Wesley for sale . i am interested in purchasing the painting you have for sale. Who knows about the painting called King’s Arrival. It is a nativity. What is this painting worth? Frank Wesley’s art is fascinating and inspiring. I am a Cardiac Surgeon working in a Mission Hospital in India. I want to take a meditation of the forgiving father at our hospital bible study group. I have a book of his art and intend to ask for a reprint of some paintings through the website. Was wondering if I could get a copy of Cheryl’s meditation. Needless to say – it will be acknowledged if used. Thank you. have a original painting of Frank Wesley., and i wouldike to sell it , do you know anyone interrested? hello i have a original from Frank WESLEY, DO YOU KNOW ANYONE INTERESTED? I had the honour of meeting late Frank Wesley in my childhood at his birthplace Azamgarh where two of his brothers late Mr. William Wesley and late Mr. A. Wesley lived. Mr. William’s children were my friend. Whenever Frank Wesley visited India, we used to call him ‘Babu uncle’. ‘Babu’ was his nickname. A very simple and jolly man he was. When I grew old, only then I understood what a great artist ‘babu uncle’ was. May his soul rest in peace. He has done a great work. Hi, I’m not sure who to reach out to. It appears I’ve obtained some original artwork from Frank Wesley. These were created in 1972 and I would love to have them validated. Is there someone I can reach out to? Frank Wesley painting you have for sale. I was a Peace Corps Volunteer in Azamgarh almost 50 years ago. Ellen Wesley was my friend. She said to me one day my brother Frank is coming home I want you to meet him. I did and I showed him some antiquities I had acquired. He said let’s go to the “lumber wallah” and make you appropriate stands for them. We spent the afternoon together and he carved the stands for my pieces. Since my pieces are antiques the stands are beautiful yet mirror the slightly rough pieces of wood. Frank searched for hours all the wood to find just the correct piece to match my pieces. I still have them, they are my treasure. He was so modest he said only some of my paintings have been used on UNICEF Christmas cards. I have 3 original Frank Wesley wood cut art works. Iam looking to find a home for them. If anyone could help me find what the value of them are I would be willing to work on a price and let them go separately or as a set. My sister gave me a print of Forgiving Father.I did not know the artist or subject matter, I t reminded me ofGhandi ive found out tonight from a Jesuit Geoff Wheaton (who also met Frank Wesley) that Mr Wesley sculpted Mahatma’s funeral urn.Peace be upon them. I have 3 woodcut pieces by frank wesley. The largest being the life size woodcut of the forgiven father, it is numbered, stamped and signed by frank wesley. The other two are also woodcuts but much smaller. I am looking for a buyer, but cannot find a market for his pieces or even the value of them. I stumbled across yoir blog thoa morning and was curiois if yoi had any information on finding a value and a possible collect or or buyer for these pieces. I am interested in purchasing a print of the “Forgiving Father”. I have several originals which are not of a religious nature and would love to have this meaningful print. Where may I purchase one? Interesting to note the persons commenting — a lot of India connections. I have an original Frank Wesley oil (1953) purchased from him at his studio in Lucknow University, Lucknow, India as a present for Christmas 1953 for my mother. Frank framed it for Dad and me. For years it hung in the living room of my parents and now is in my living room. Valuations seem hard to come by – Frank also taught at Woodstock School in Mussoorie for a time (early 1960’s?) after I was graduated.